To be able to categorise the types for admittance like VDE we use shortcuts. You can download them here as PDF. A transformer with a power lower than 3 kVA, a primary voltage up to 1000 V and a secondary voltage smaller than 100 000 V counts as a small transformer. For conventional transformers swaged transformer metal sheets are pushed into the previously winded coils. Depending on method this happens mutually or synchronistically. These transformers are also known as bobbin- or cover transformers. The circular and isolated iron core is wound directly with copper wire by using special machines. A metal insert between two windings reduces the transmission of disturbances. You have to differ between a static and a magnetic screen. Separation of dangerous active components by using an inserted screen which is connected to a PE. Inductive components are constructed to not generate a lot of noise. Certain noises are unavoidable though. The magnetostriction (length-width change) of the material generates a hum noise. By mounting on a chassis sheet which works like a loudspeaker membrane, acoustic noises can be amplified. If there is no sinusoidal voltages or a steep dU/dt, we will get induction rises which can lead to a saturation in the material - and this is audible. Here a choke that generates a sinusoidal current can help. It is possible to construct the transformer for low hum noise but this worsens the efficiency. Alternatively rubber-bonded-metal dampers are usable - similar to a suspension in a car - the vibrations are damped and thus the housing can’t amplify noises. To avoid magnetic interspersion of disturbances, transformers can be screened. This transformer has a galvanic separation between primary and secondary which has to redeem an easy insulation test. This transformer has a connection between the primary and secondary winding. These are transformers with secondary voltages from 1000 Volt up to 100 000 Volt. A safety transformer has a max. voltage of 50 V at the output and needs to pass an insulation test between primary and secondary. The insulation transformer has a voltage of 51 Volt up to 10 000 Volt at the output and needs to pass an insulation test between primary and secondary. An active or passive power factor compensation is a special filter, which is used mainly for power supplies of a certain power, e.g. computer power supplies, to minimise the amount of disturbing harmonics and to get the power factor as close to 1 as possible. Transformers in this protective class have a stronger insulation and are covered, thus they don’t need a PE. The transformer output may be in a short-circuit permanently. A transformer with built in overload protection. Here the user has to deal with the overload protection. Power, that can be obtained permanently from the transformer. Secondary voltage of a transformer in no-load condition. Voltages between 51 Volt and 1000 Volt. Voltags higher than 1000 Volt. A switch that will open, if there is too much current. Temperature sensitive switch, which turns the transformer off at too high temperatures. Reacts to too high currents and too high temperatures and turns the transformer off. 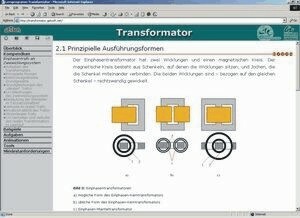 EN 61558-1: Safety of transformers (VDE 0570 part 1). General requirements and tests. EN 61558-2-4: Special requirements on isolating transformers (VDE 0570 part 2-4) for general use. EN 61558-2-6: Special requirements on safety transformers (VDE 0570 part 2-6) for general use. EN 61558-2-17: Special requirements on transformers (VDE 0570 part 2-17) for switching power supplies. CTI stands for Comparative Tracking Index - comparable figure of the creep distance. Transformers can fail if creep distances of current occur due to dirt or humidity. CTI is the maximum voltage where 50 drops of water won’t evoke a creep distance on the insulation material. The test is defined in IEC 112.
International, country specified voltages can be given to you on request. The leaflet “Electric Current Abroad” of the U.S. Department of Commerce does not only show voltages but also plug types. 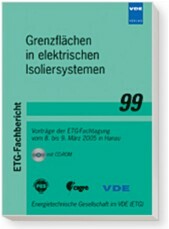 This leaflet can be obtained at ZVEI Germany, Frankfurt. Beginning with the electro magnetic basic laws (magneto motive force and induction laws) and the electric net equations of primary to secondary, the electric equivalent circuit diagram for a one-phase transformer is derived step by step. No-load and short-circuit test demonstrate how to determine all values of the equivalent circuit diagram. Real technical transformers show current ideal characteristics. Which parameters, diagrams and equations are needed to describe the characteristics is given. The focus is on the no-load characteristics by considering non-linear characteristic lines of the core material. The chapter “tasks” gives parameters of technical transformers. On an example these parameters are used to calculate the elements of the complete equivalent circuit diagram.